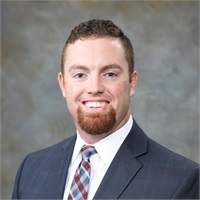 Ryan earned his BBA in Management from Concordia University Texas in 2013 and his M.S. in Sport Management from Texas A&M University in 2015. Ryan also lettered 4 years on the Concordia baseball team and was drafted in the 30th round in the 2013 MLB draft by the Washington Nationals. He holds the series 7 and 63 securities registrations along with his general life and health license. Before joining the FWA team, Ryan worked at Thrivent Financial. Ryan uses his experiences of two other industries to help provide clarity and understanding to clients. His time spent in the minor league system has given Ryan first hand experiences in the difficulties that young families experiences when dealing with finances. Ryan is married to his wonderful wife, Meghan, who is a teacher and coach. She is also an alumna of Concordia, where she lettered 4 years on the softball team as a first baseman. They enjoy watching Aggie sports, Astros baseball and being outdoors with their silver lab, Benelli. Ryan also enjoys hunting and playing golf.